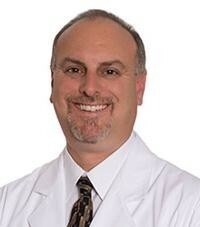 Dr. Price is thrilled to be this year's Medical Honoree. He is committed to raising funds and awareness for the Arthritis Foundation. he encourages his professional and personal network to get involved and join the fun! and health care related companies. Certified Public Accountants and Healthcare Financial Management Association. advisory council and finance committee for The Council on Recovery, a member of the Board of Directors for the Arthritis Foundation – Houston and is a member of the Ignite and Women’s Health Network committees of the Greater Houston Women’s Chamber of Commerce. 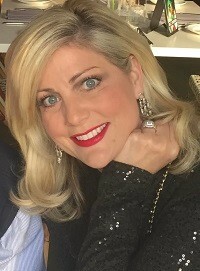 Kari is a graduate of Baylor University, Waco, Texas, with a B.B.A. degree in accounting and an M.B.A. degree. and – one day – a cure. To support Kari’s efforts please click here. When Dana was diagnosed with Rheumatoid Arthritis 16 years ago she was an executive in the computer industry and juggling a busy, but fun life, with her husband and two-year-old son. However, that all changed dramatically when her arthritis would not even allow her to tie her shoes. Dana made the tough decision to leave her career and focus on a new way of life. After many challenges with medications and trying out several alternative therapies, Dana is proud to be here fighting another day, month, and year. Dana makes a point to have faith in her journey and not allow the bad days to steal her joy. Dana is honored to be involved with the Jingle Bell Run and the Arthritis Foundation and wants to show everyone that small changes can help you continue living a fulfilled life, despite an arthritis diagnosis! To support Dana's efforts please click here. Two years ago, Chad woke up to get dressed for school and experienced severe back pain while putting on his shoes. He was later found to have two fractures in his spine. Doctors feared he had cancer, but after many tests and visits with specialists, he was diagnosed with type 1 osteogenesis imperfecta (brittle bone disease). He had nine fractures by the age of 7. But the devastating news didn’t stop there. Because of Chad’s brittle bones, his spine began to shift, and he developed painful arthritis near his fractures sites in his low back by age 8. He could no longer participate in sports or backyard activities with friends without severe pain. After starting IV infusion treatments for his arthritis and brittle bones one year ago at the Center for Rare Bone Diseases in New England, Chad began to get his life back. His pain level has decreased, and his bone density is increasing. He has learned at an early age not to be defined by his challenges, but instead lifted by them. He spends many days per week in swim therapy to regain his strength. 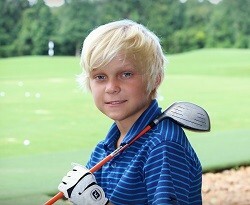 He has also developed a love for golf thanks to his amazing coaches who have believed in him. Chad has more good days than bad but having arthritis at a young age is very upsetting to him at times. Having to miss out on birthday parties or activities due to this condition or side effects of medications can be devastating for a young child. Chad said YES to be the honoree for this year’s Jingle Bell Run because he wants people to understand that it’s not just the older population getting arthritis. He wants to raise money for a cure so that one day he and other kids with arthritis can live pain free and without the need for so much medication. To join or donate to Chad's team please click here.